2. To spread devotion to her in reparation for past neglect and misunderstanding and in the cause of Christian Unity. 3. To take Mary as a model in purity, personal relationships and family life. 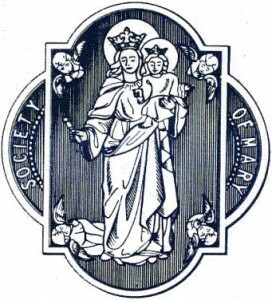 St Mary the Virgin has a active ward of The Society of Mary currently with 15 members. Marian Howe is the ward sectary and Fr Lee the Ward Superior. It is planned to organise a visits to St. Silas Kentish Town. This event is well attended and important in building links with other churches. Several of the ward members have been on pilgrimage to Our Lady Lourdes in France with members of the society from across the country. It is planned to hold more regular meetings each month to pray the rosary together. The first Saturday of each month, there is a Society mass in church at 10am, this is preceded by the Rosary. at 9.30am. Everyone is welcome. (Mass in Abeyance during vacancy – Rosary 10am first Saturday). If you have any questions or if you have a prayer request please contact Marian Howe. Inspired with this confidence, I fly to you, Virgin of virgins, my Mother.